Filling our Mortal Kombat ad requirement for the month. 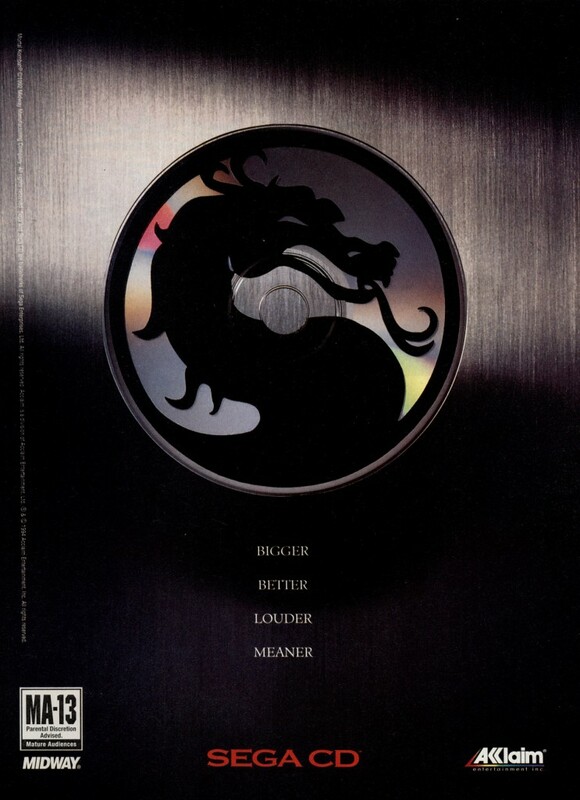 Mortal Kombat CD is the Mega CD port of the first game in the series. The game is packed with typical early CD game gimmicks – it even opens with a (low quality) version of the “Mortal Monday” commercial. While not quite up to the standard of the arcade game in visual terms, the sound is more than adequate and the gameplay is quite faithful. The load times are absolutely awful, though. This ad is an early teaser – the final version of the game had an MA-17 rating due to the infamous blood code no longer being required.